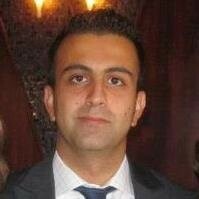 Arash Kamyab, is an Associate Director, Cross-Currency basis trader at UBS Securities LLC. He is responsible for global basis book, and a market maker in G10 cross currency basis. Arash also spent 4 year at UBS as a quant developer. Prior to joining UBS in 2014, Mr. Kamyab was at Thomson Reuters for 8 years where he was a Fixed Income specialist working closely with Hedge Funds, Banks and Credit Agencies and helping Thomson Reuters grow the business in Fixed Income data and analytics. Mr. Kamyab received his bachelor’s degree in Software Engineering from McMaster University.